On 20 October, the audience in attendance at IIC's 13th Festival of the Arts was witness to a stunning session of Carnatic music. Born to Sing, a Carnatic ensemble from the JustUs repertory in Chennai, took the stage at the C.D. 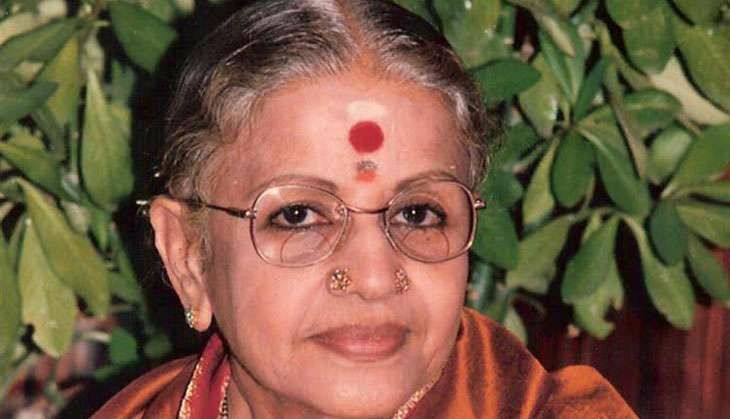 Deshmukh Auditorium to treat those assembled to a journey through the life and works of the late MS Subbulakshmi. The performance, celebrating the birth centenary of the acclaimed musician, was conceptualised and structured by her grand-niece, playwright Gowri Ramnarayan. Ramnarayan is also the narrator of the performance, seamlessly weaving together anecdotes related to each of the songs, telling MS' story in the process. The ensemble, who rendered a collection of MS' songs from her long and storied career, consisted entirely of young musicians. Sushma Somaraj and Vignesh Ishwar handled vocals while the accompanists, Shreya Devnath (violin), B. Vijayagopal (flute), and K. Praveen Kumar (mridangam) played their hearts out. 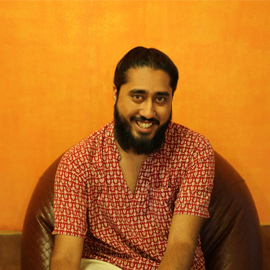 Ramnarayan tells us the reasoning behind assembling such a young group of musicians. "I've done performances themed on MS Subbulakshmi with well known classical musicians. "But I also wanted to work with talented musicians who are younger. There's a reason for this as well because MS Subbalakshmi was very interested in youngsters. She would listen to the radio, she would call them up and give them constructive feedback. She was always worried about the future. So I thought, why not use these young artistes instead of already well known ones," said Ramnarayan. But can such young musicians do justice to the musical pedigree of MS? "Naturally, we had to choose songs that they could do justice to. I don't want to take the great, grand classical compositions of MS, which only a mature, seasoned performer can do." But can such young musicians do justice to the musical pedigree of MS? The numbers performed at IIC had stagerring range, with MS' compositions in different languages and styles all showcased. Ask Ramnarayan how hard it was to train the musicians to do justice to MS, and she shoots back, "I don't like to use the word train, I prefer the term "work with" as I come from a theatre background and believe in being democratic. I don't believe in the guru-shishya approach. But I worked a lot with them. "I worked very hard together with them on this project, explained a lot of things and told them what I wanted, I edited them a lot and gave them lots of creative inputs. However, I didn't curbtheir freedom. "They all come from a different school and a different guru, they have little to do with MS, so I just helped them to present their music with the musical values of MS Subbulakshmi, that's it. "I didn't want them to change their styles. I didn't want them to clone her. MS is not like Lata Mangeshkar who you try to imitate. She's a classical musician and classicial music is not about just repeating or copying anything." Born to Sing is an attempt to introduce the audience to who MS was as a person. "For the concert we've selected songs in different languages, each one with a story behind it, each one showing some impact of the outside world on her," explained Ramnarayan. With that being said, Ramnarayan agrees that as much as musical advice, she had to impart history lessons about MS to her young ensemble. "Understanding who she was, is really important to do justice to her." "She was a wonderful, gentle person. I don't think she ever said a harsh word. I think her life was more of an inspiration than her music in some ways. In fact, I think the great inspirational quality in her music came from her life. She was a very intelligent woman, you have to be a brilliant person to understand classical music the way she did, your brain really has to be top notch. "She was all of that but she never flaunted it. She was genuinely humble, you know, not put-on humility. I think I was inspired most by the way she treated those who had less than her," said Ramnarayan, adding, " For example, if you were a chauffeur or a sweeper, you had more chances of MS amma spending time with you than if you were some big industrialist or politician." "Abdul Kalam, when he was president of India, came to visit her. They were talking to each other, but, at one point when he turned to talk to somebody else, she whispered to me and said "Make sure the chauffeur is also given coffee and tiffin," before continuing her conversation. I think that epitomises her, her concern for the underdog, for people not noticed by others," she explained. Ramnarayan also went to great lengths to convey the service aspect of MS' singing. "I explained the aspirations of this particular programme [to the artistes], what it is that we're trying to achieve - paying tribute to one of the greatest musicians the world has seen and also someone who was a great human being and used music as a way of bonding with her fellow human beings and helping them as much as an individual can," says Ramnarayan. "I told them a lot about MS amma, about her approach to the songs, how she would sing it and how she would work on it. She never saw music as performing. She saw it as service. An MS concert made you feel like you could be a better human being. That was her focus. That's how she chose her songs and the ideas behind the songs and when she sang she just gave her heart out. "Social work was her singing and giving everything to charity. (She raised crores for charity) But her singing itself was social work, she saw it as service. She used music as a way to sensitise people and uplift them. That's why she strove for perfection." One thing that the performance made clear, was that MS was anything but inward looking. Her husband played some part in it, introducing MS to various different styles, but it was her willingness to learn that set her apart from a lot of her contemporaries. Ramnarayan, at one point in the show, spoke of MS going to a gurudwara to learn from the singers there. "There she sat, this diminutive lady, in front of these large bearded men, expectantly waiting for them to teach," she recounted. Asked whether his was an indication of her openness to different cultures and religions, Ramnarayan replies in the affirmative. "She was completely and totally involved in her gods, her rituals, her pujas. But she believed that everyone had the right to do their own thing. Nobody wants to now say that she sang Bismillah-i-rehman-i-Rahim. They want to believe she only sang about her gods like Ram. "Nobody wants to sing 'Eeshwar Allah tero naam' anymore, noticed that? It's really strange,because we've lost that open mindedness. Maybe it'll come back, I'm an optimist, these things move in cycles. She sang about a compassionate God, not a terrorist God as I said during the performance," says Ramnarayan. At a time when India has seen a rise in communal tensions, her example is a lesson all of us should listen to.